Transcend PRP Protocol in Windham – Available Only at Renew MediSpa! Dr. Lisa Vuich is the Chief Physician Liaison, working closing with Bridging Biosciences, LLC to advance the quality of regenerative PRP procedures. 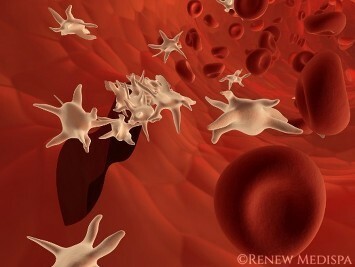 Renew MediSpa is honored to be the first practice in the country to utilize the Transcend PRP protocol. What is the Transcend PRP Process? First, we need to determine the volume of blood to be drawn. In order to do that, we need to know what your platelet count is on the day of your procedure. This is achieved by pricking your finger to obtain a tiny sample of blood which is then analyzed by the VASCO PC100 Platelet Counter; a state of the art device that uses optical technology to accurately and quickly count the number of platelets per nanoliter in your blood sample within minutes!. If you’re interested in learning more about Transcend PRP protocol, call us today to schedule your appointment.